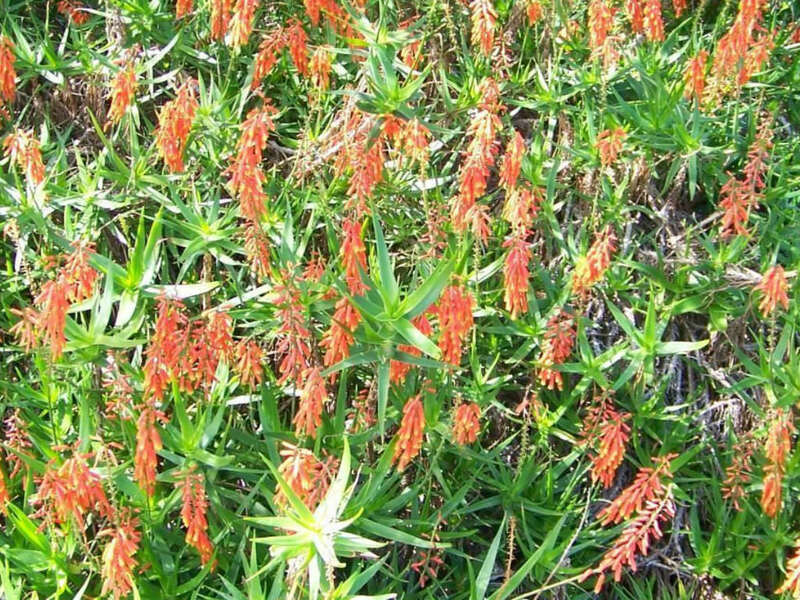 Aloiampelos tenuior var. rubriflora is a medium-sized, bushy succulent that forms clumps up to 10 feet (3 m) tall, with leaves tufted at the ends of branches. The leaves have a distinctive grayish-green color and the leaf margins have tiny white teeth. An unusually large, woody rootstock usually forms on the ground at the base of the plant. Flowers are borne on slender racemes and are red in color. 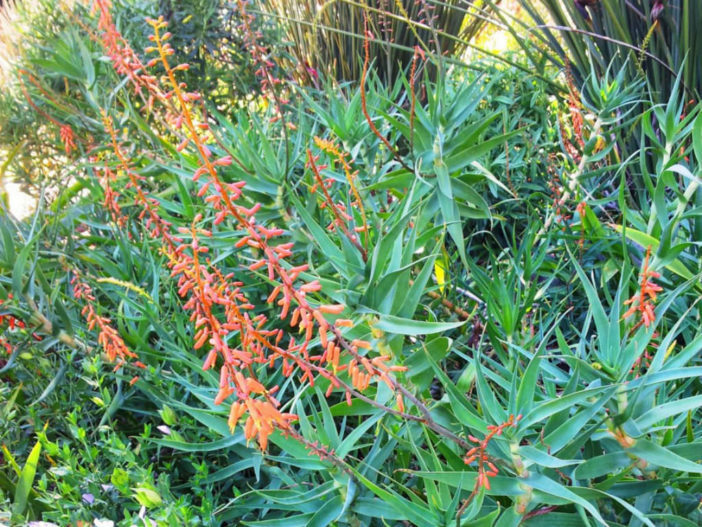 It flowers throughout the year, but especially in winter, and the small flowers appear on thin, unbranched racemes. 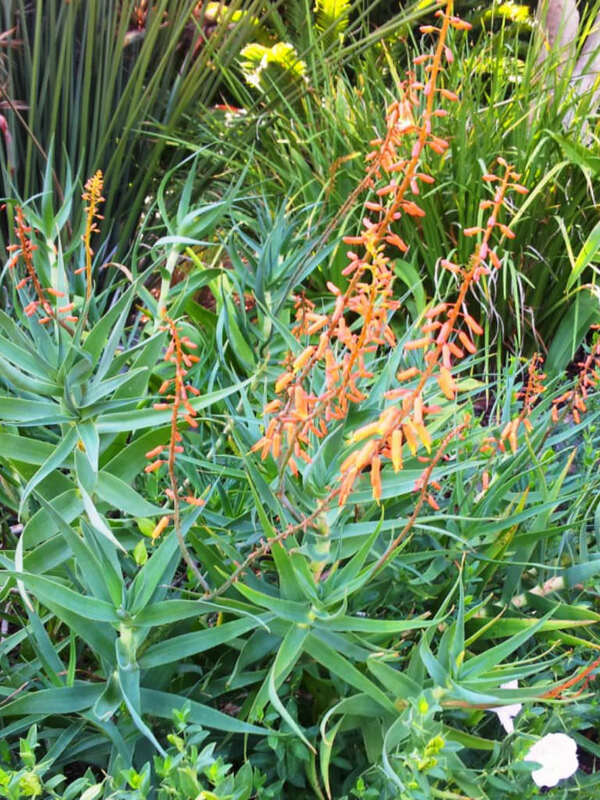 Due to their hardiness and the wide range of flower colors, these slender succulents have become popular ornamental plants in South African gardens. 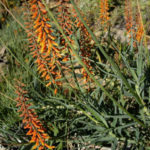 The commoner species (such as the more widespread Aloes of the Eastern Cape) are increasingly grown in gardens overseas too. 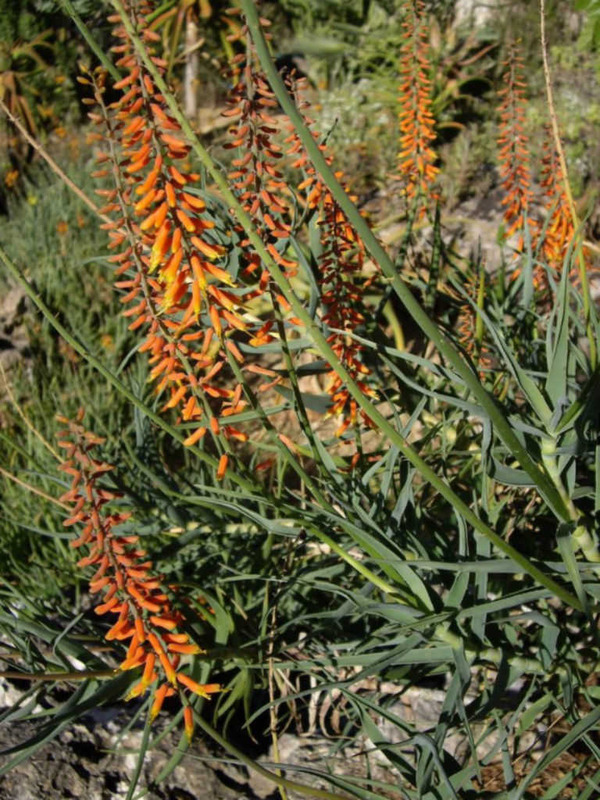 Climbing Aloes require a sunny, well-drained position and are particularly suitable for rockeries. The taller, climbing species are commonly planted along fences and boundaries where they grow up through the surrounding foliage. 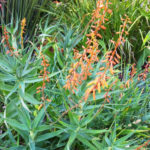 The lower, rambling species however, are better suited for rockeries, slopes or terraces, which they will naturally cascade down over. 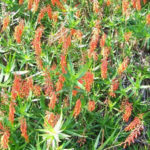 Native to the grasslands and thickets of the Eastern Cape, Kwazulu Natal and Mpumalanga, South Africa.